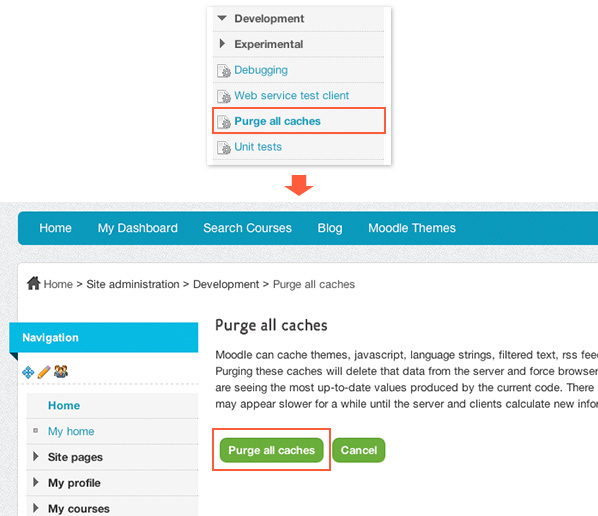 “So how do I clear Moodle theme caches?” you may ask. There are three options and I will go through them with you. Note: The theme used in the screenshots is our premium Moodle theme Brizzle. 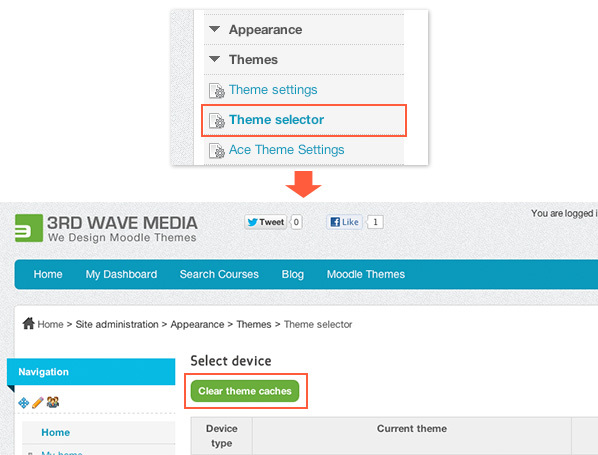 Option 1 – Quick way to clear Moodle theme caches This option is recommended if the changes only need to be applied once. 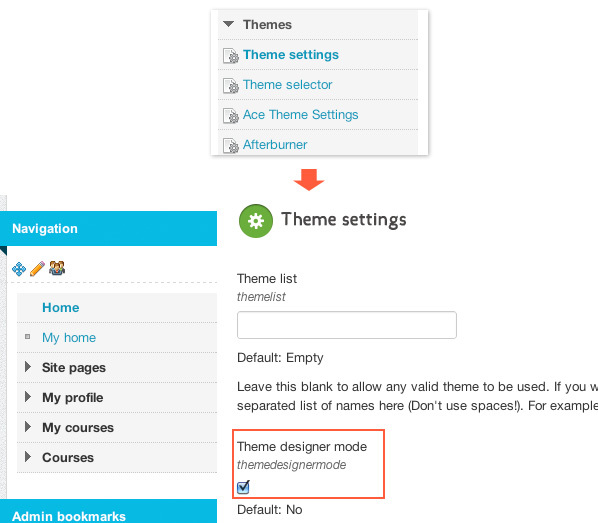 For example, there is a new release of your Moodle theme and you need to update your current theme. Log in as an administrator and go to: Settings > Site administration > Themes > Theme selector. Click the “Clear theme caches” button as shown in the figure below. Option 2 – Quick way to clear site-wide Moodle caches Similar to option 1. The only difference is that option 1 only clears Moodle theme caches, and option 2 clears all Moodle caches. Option 3 – Suitable for Moodle theme designers while developing themes on a development site When this option is enabled, Moodle will clear the theme cache automatically every time you refresh your browser. However, it’s not recommended on a production site as leaving this option on will affect your site’s performance and significantly slow your site down. Log in as an administrator and go to: Settings > Site administration > Themes > Theme settings Tick the “Theme designer mode” checkbox and click the “save changes” button at the bottom of the page.